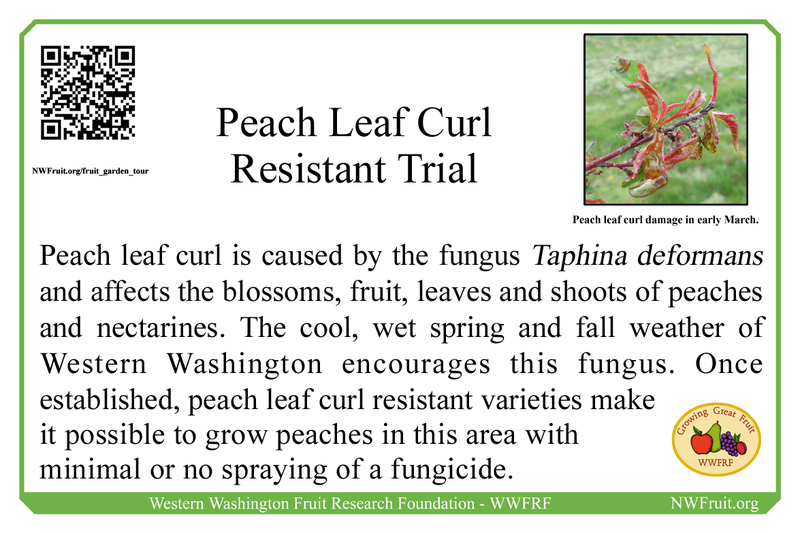 With non-resistant varieties peach leaf curl can be avoided if the plant is kept dry during January and February. This can be done by covering with plastic or by training in a fan shape on a south facing wall under the eaves. Plastic sheeting hanging from the eaves may increase the protection but should be pulled back on sunny days. In March the plastic, if it is used, can be removed. Since peaches fruit on one year old wood the fan shape allows renewal of one year old wood for best production. The peach leaf curl resistant varieties in the Fruit Garden are Betty, Frost, Q1-8, Indian Free, Avalon Pride, Mary Jane and Black Boy. 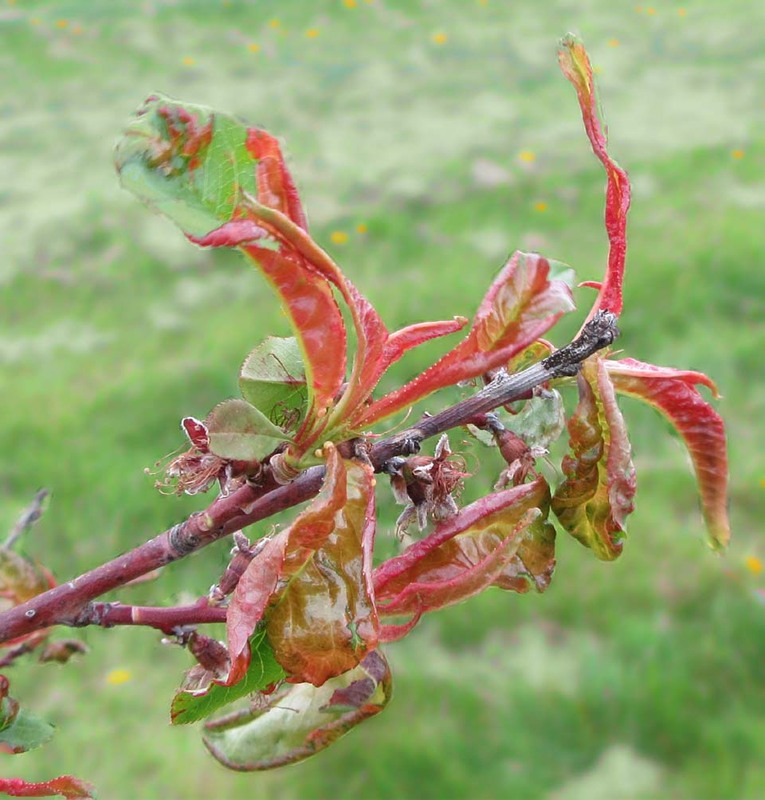 Some people in our area have reported that Q1-8 is the most resistant in their gardens.